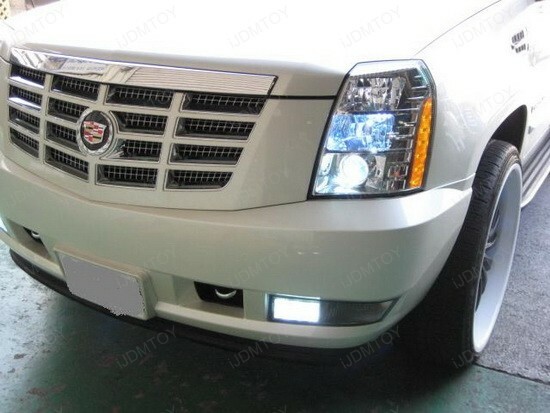 Updates and News about Cadillac for cars installed with iJDMTOY LED lights, HID lights and more. This sporty 2006 Cadillac CTS makes impression not only with its pose, but with the amazing CREE High Power 3156 LED backup lights, too. Sadly, we did not get any pictures from night time, but even at daytime you can tell from the pictures, the LED bulbs are outstanding. These 3156 Reverse LED lights are brighter than the stock bulb, emmit a stronger, 6000K Xenon White color, consume less power and last about 20k working hours! The excellent 3156/3157 LED bulb is a very easy to install, direct replacement for your standard filament bulb. 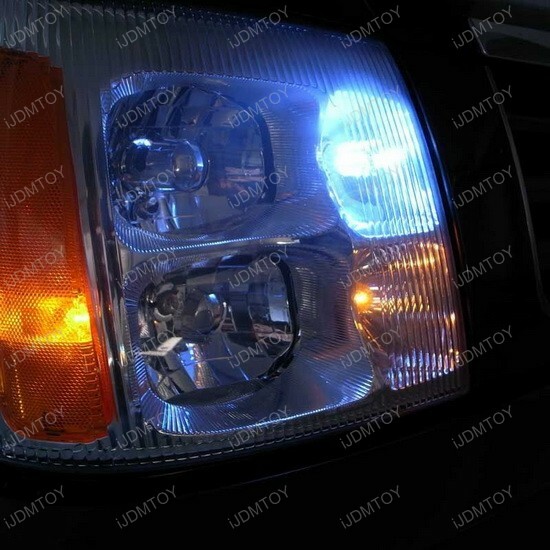 It will replace the 3156 3056 3157 3057 stock bulbs for backup reverse lights. No wirings are needed and thanks to the innovative design, fitted with 5W CREE high power LED Emitter on the top plus 10 pieces 3-Emitter 5050 SMD chips surrounding, you get exceptional brightness for a distinctive custom look and safer backing up. 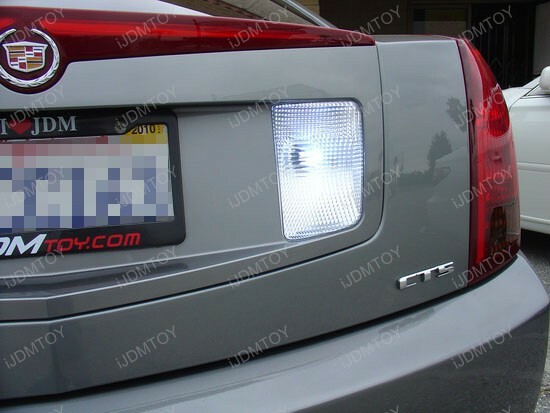 Replacing the 2006 Cadillac CTS Reverse lights takes no more than 20 minutes. Open the trunk, disengage the fasteners with a flat screwdriver and take off the mat by carefully removing the plastic clips. Locate the back of the lamps and you’ll see a few bolts. Remove the bolts and you’ll be able to pull out the whole rear bezel bulb housing. Just a word of caution – when that happens, the trunk lid becomes lighter and pushes up faster, so have this in mind when you do the procedure if you don’t want to get your face wacked. 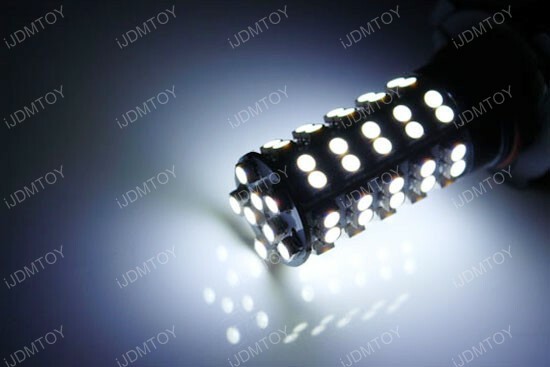 Unplug the reverse light bulb assembly, remove the bulb from the socket and replace it with the new 3156 LED backup bulb from iJDMTOY. Do the same with the other bulb. This is the time when you must test if both lights work! Ask a friend to look if lights work when you switch to reverse. If a bulb doesn’t light up, flip it 180 degrees and try again. 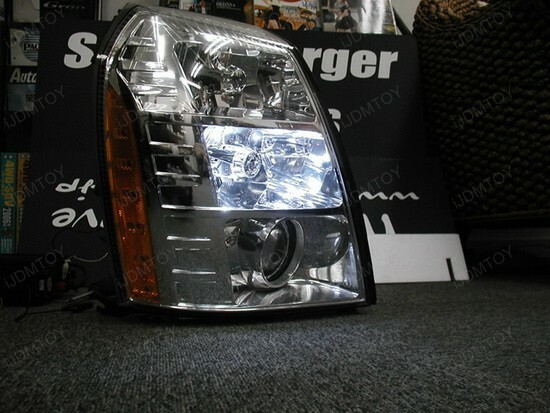 In case bulbs light up, put back everything together and enjoy your improved reverse lights. 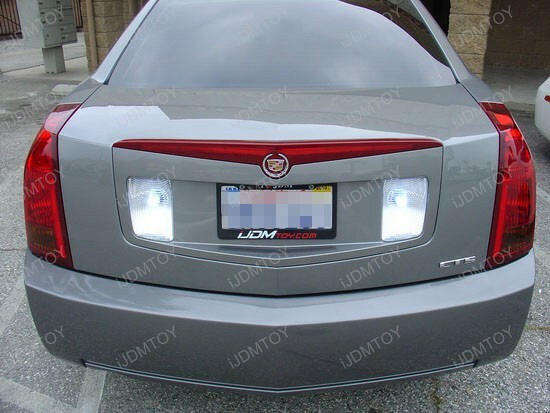 If you own a 2006 Cadillac CTS and don’t want to bust your wallet trying to enhance the look of your car, then these super bright 3156 LED backup bulbs are perfect! 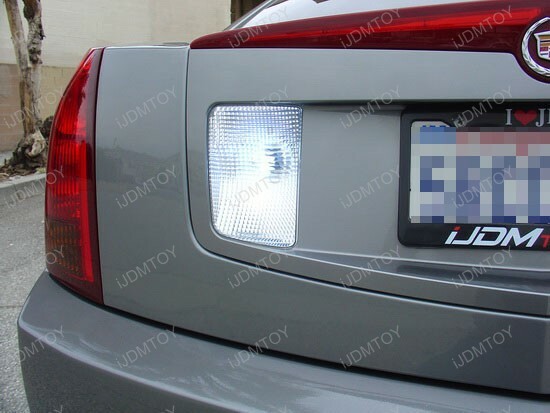 The quality is guaranteed and with immediate response on/off and vibration resistance, this upgrade will make you very noticeable whenever day or night. 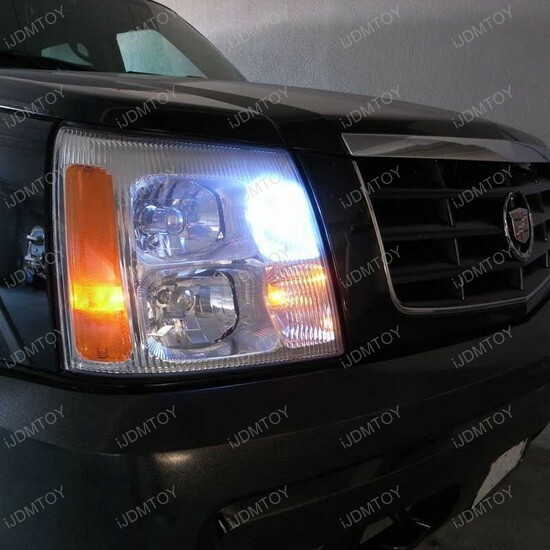 The 2010 Cadillac Escalade is impressive by its own, but this one has 5201 LED Bulbs for Daytime Running Lights right above the HID headlight lamp. Check out the pictures of this "White Diamond" and see for yourself the "look-at-me "outsized styling, which most fast-living rappers and bling-dazzled celebrities swoon over. 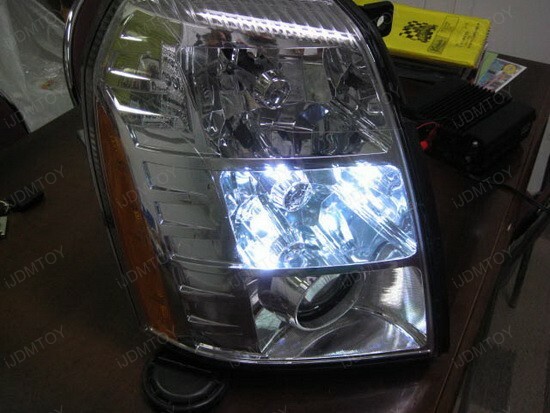 Thanks to the 68-SMD 5201 LED bulbs used for DRL, the stock yellowish halogen bulbs are gone, and the old look is transformed into a beautiful and exact 6000K Ultra White HID matching look without paying the HID price. This is a great "add-on" to the already luxury and extroverted appearance, which turned this ride into a sleek and real head-turner. 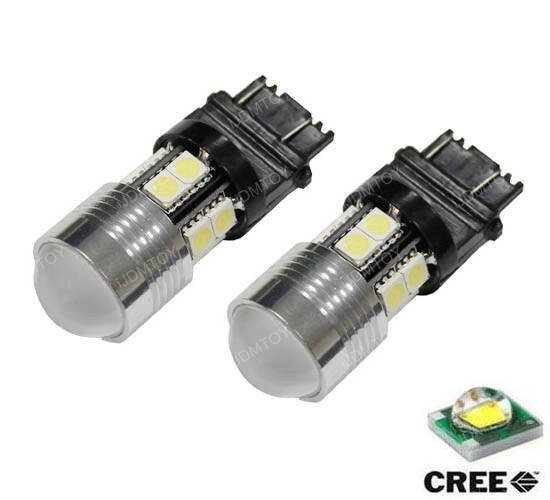 Since this LED bulb is direct replacement for the stock 55W 5201 (aka H16, 9009, 5201, 5200, PSX24W or 2504) halogen bulb for fog light or daytime running light, it will fit in almost any car, SUV or truck with such housing. 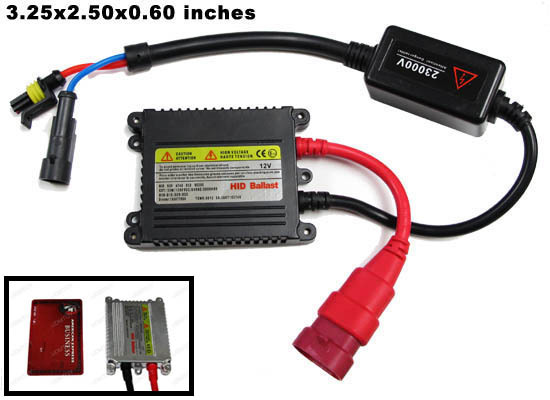 Please note that some vehicles like Audi, BMW, etc which have on board computer (OBC), you might need to add a pair load resistors. This is needed in order to avoid the error message showing up on dashboard or bulb malfunction problem. Whether load resistors are needed or not, the installation is extremely easy! Completely plug and play and should take you less than 10 minutes! You can get your ride a 6000K Xenon White or exotic 20000K Ultra Blue look for just a few bucks! And considering the fact that LED bulbs are longer-lasting and consume less power than conventional halogen units, which means less fuel consumption, the LED technology is the first step to the "think green" way of living. This 2010 Cadillac Escalade looks great on 22-inch wheels with the 5201 LED Bulbs installed and if you really like it, then you just can’t go wrong with purchasing a pair of these wonderful and super bright 5201 LED Bulbs. 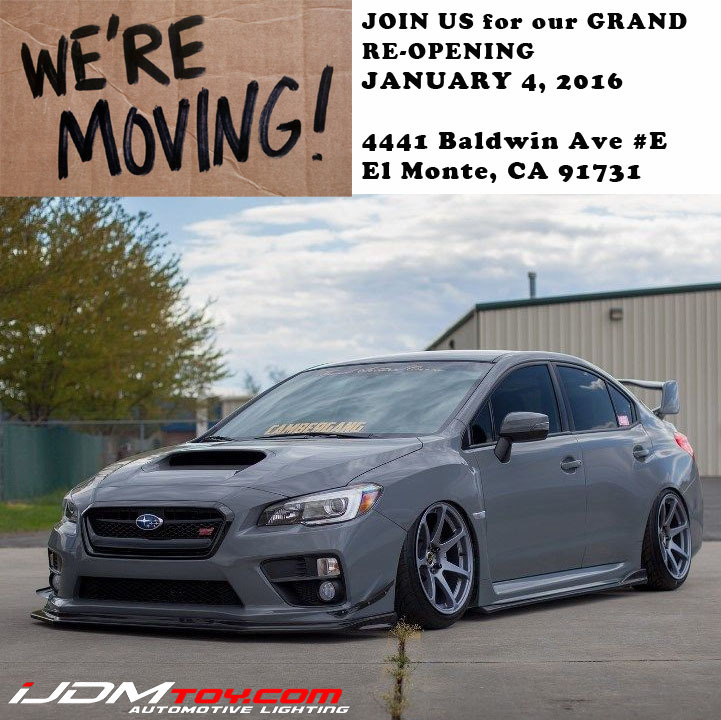 Impress people, save money and give your car a fresh new look with this quality iJDMTOY product now!